Shaun Quegan received his B.A. in mathematics in 1970 and M.Sc. in mathematical statistics in 1972, both from the University of Warwick. After teaching for several years he undertook a Ph.D. on ionospheric modelling at the University of Sheffield (granted in 1982). He then joined Marconi Research Centre, Great Baddow, becoming Remote Sensing Applications Group Chief in 1984. 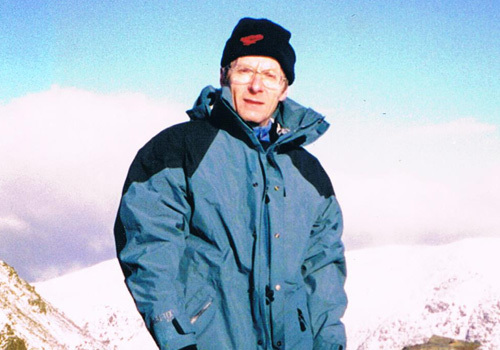 In 1986 he took up a post with the University of Sheffield and built up a very successful radar research group, leading to his Professorship in 1993. In the same year he proposed and became the Director of the Sheffield Centre for Earth Observation Science, which coordinated and developed remote sensing activities across the University. In 2001, he became Director of the NERC Earth Observation Centre of Excellence in Terrestrial Carbon Dynamics (CTCD), whose purpose was to improve estimates of the role of terrestrial ecosystems in the Earth’s carbon cycle. On inauguration of the National Centre for Earth Observation in April 2008, subsuming the CTCD, he led the Carbon Cycle Theme. His main interests lie in using satellite and ground-based data to constrain models of land-atmosphere carbon and water fluxes. Arising from this, he proposed and is Principal Investigator of the European Space Agency BIOMASS mission, which will launch in 2021 and measure forest biomass globally from space. He is a member of the Terrestrial Observations Panel on Climate, the JAXA Kyoto and Carbon Panel, was Chairman of the Terrestrial Carbon Observations Panel from 2002-2005, was a member of ESA’s Earth Science Advisory Committee from 2002-2007, and led an activity on Linking In Situ Forest Measurements, Remote Sensing and Carbon Models for the Group on Earth Observation. He has contributed sections on the terrestrial carbon cycle to all the Global Climate Observing System Adequacy and Implementation Reports since 2002.